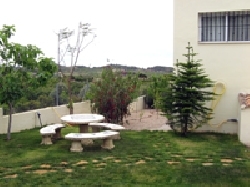 Luxury villa backing onto orange groves with Mountain views. Only 30mins drive from the famous Ciy of Valencia and the airport which is served by economy airlines EazyJet and Ryanair. Bars Restaurants and shops are 5 minute drive away, and beaches 30 minutes.Rental car is essential which can be hired from the airport at good rates The famous superbike track at Chiva is close as are the 2 local Golf Courses and the popular attraction is the famous tomatoe throwing festival in Bunol. 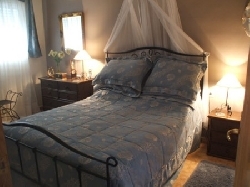 The villa contains 2 double bedrooms with king size beds one with en-suite. The 3rd has twin beds. In the lounge are two further single bed settees ideal for small children. 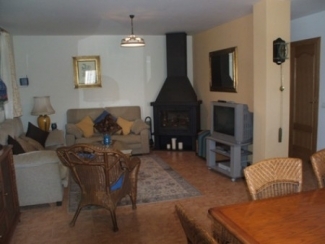 For winter month rentals there is a large log fire. Also english television. 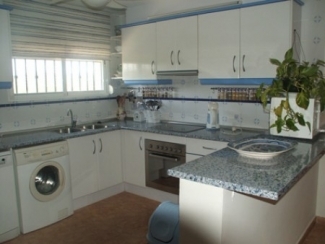 Everything is provided in the kitchen inluding a microwave, dishwasher and washing machine. 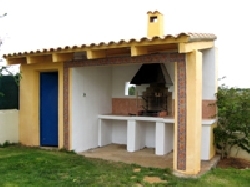 Dine indoors or out on the large terrace or poolside cooking alfresco on the BBQ in the Paella House.Have your siesta on the garden swing drinking the local wine.A welcome pack can be provided for a nominal charge if required. 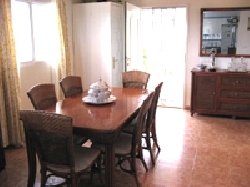 The villa is availabe for long term rental, rates to be negotiated.